Which Oscar-winning movies should you buy on DVD? With awards season a distant memory, the real day of reckoning has arrived for most of the award winners: their DVD release. So which of this year’s crop of award winners is worth your hard-earned cash (or the cash you make from selling DVDs with musicMagpie)? Who’d have thought that Matthew ‘Ghosts of Girlfriends Past’ McConoughey and Jared ’30 Seconds to Mars’ Leto would sweep the acting awards at the Oscars? 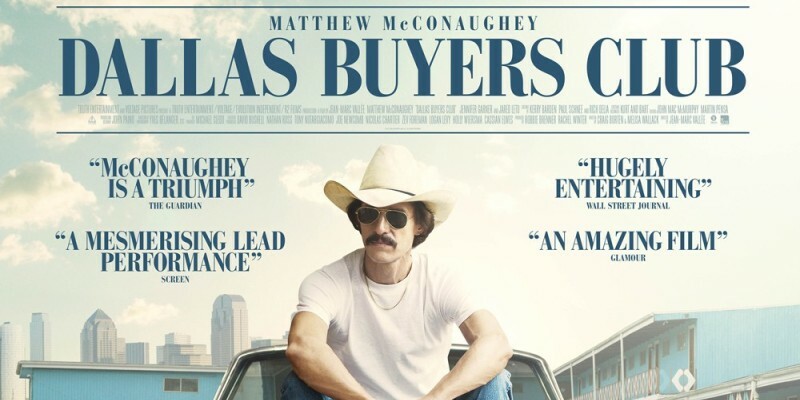 Both deserved their awards for the brilliant Dallas Buyers Club though, which stars McConoughey as a homophobic misogynist who is diagnosed with AIDs. Leto shines as a transvestite customer of the illegal treatment drugs business McConoughey subsequently sets up. Verdict: Well worth spending your money on. Gravity was the most spectacular cinematic experience since Avatar, and fully deserved the 7 Oscars it won. It’s telling, though, that most of those Oscars came in the technical categories. Strip away the jaw-dropping visuals and you’re left with a so-so plot that is more-or-less Apollo 13 (albeit a little bit more exciting). Verdict: Definitely worth it if you have a set-up that does the film justice. Not as good on a small screen, though. How does Woody Allen keep making brilliant movies after all these years? Blue Jasmine isn’t standard Allen-fare, shunning his trademark quick wit for a slow-burning drama about a woman (the titular Jasmine, played by Cate Blanchett) betrayed by her cheating fraudster husband and shunned by her friends and family. It’s not the cheeriest of films, but it’s easy to why Blanchett was named Best Actress. Verdict: A tough film that is one of Allen’s best. Not a great film for a romantic DVD night, though. 12 Years a Slave was an shoo-in for Best Picture, with Steve McQueen’s powerful picture drawing widespread critical and public acclaim from the moment it first hit screens. Equally deserved was the Best Supporting Actress award for Lupita Nyong’o for her performance as Patsey, a young slave repeatedly subjected to horrific abuse, although many will claim Chiwetel Ejifor was robbed of the Best Actor gong, especially after he received the equivalent award at the Golden Globes. Verdict: Destined to become a classic film in the years to come, this is one that’s worth adding to your collection. After years of Pixar dominance, the other animation studios seem to have finally upped their game – including Pixar’s parent company, Disney. Almost no-one could have predicted the success of Frozen, which on the face of it is standard Disney-fare with a winter theme (which also happens to be based on an old Hans Christian Andersen fairytale). Yet children (and adults, surprisingly) everywhere took to its classic combination of fairytale princesses, cutesy snowman sidekicks and songs, helping make it the highest-grossing Disney film ever. Verdict: Kids will love it, adults might love it and everyone will get the songs stuck in their head whether they like it or not. Frozen has already sold bucketloads on DVD and is guaranteed to become a classic. Basing a film on a classic novel is always a risky move, especially when that novel is generally considered to be one of the best of all time. It’s even more risky when you get Bas Luhrmann, who was responsible for the hyperactive versions of Romeo + Juliet and Moulin Rouge to make it. Basically, this film was riskier than running with scissors on the edge of a cliff during a thunderstorm. Did the risk pay off? Well, kind of. It looks amazing, and fully deserves the Costume and Set Production Oscars it won. But it’s more style than substance, and the powerful emotional core of the novel is a bit lost under a metaphoric ton of glitz and glamour. Verdict: Read the book first. If you think it needed more pizzazz and glamour, then this is the film for you. So that’s a wrap on our Oscar-winners guide. Do you agree or disagree with our verdicts? Let us know in the comments, on Facebook or on Twitter! ← Which DVDs Should You Sell?